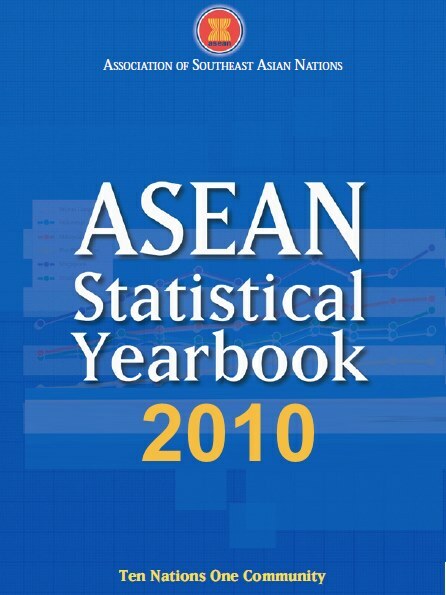 The ASEAN Statistical Yearbook (ASYB) continues to be the only publication that provides comprehensive statistics on the status, trends and developments about the peoples, societies, economies, and the environment of the ASEAN Community. The ASYB details the latest available data on international merchandise trade, foreign direct investment, , macro-economic sectors, labour and employment, and tourism in ASEAN and its Member States. The ASYB presents both cross-sectional and time series data as well as rates of change, ratios and distribution to facilitate comparative analysis. The ASEAN Secretariat will continuously enhance this yearbook to make it the principal source of timely and relevant statistics on and about the ASEAN Community. Starting with this issue, the ASYB will carry the year of publication and will be released annually every October/November. The ASYB 2010 is therefore the immediate update to ASYB 2008.